There are over 100,000 children residing in government institutions in Ukraine today. The majority of them are social orphans, children whose parents are unavailable due to drug and alcohol abuse and the resultant hardships. 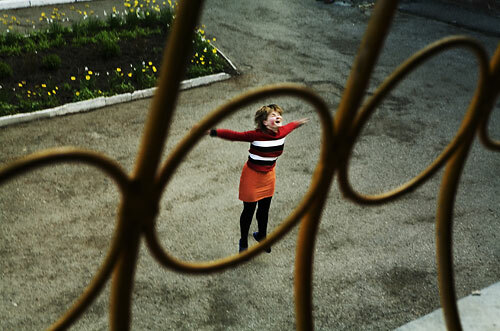 Eighty girls between the ages of 5 and 25 live in near isolation in the Petrokhiv Children's building, a Soviet institution built in the 1960s to house girls with mental disabilities. With the facility understaffed, there are few planned activities, and little preparation for their release at the age of 25. A teenage orphan dances to pop music blasted through an old boom box.